It seemed like today only dogs which were all black or tan were allowed!! 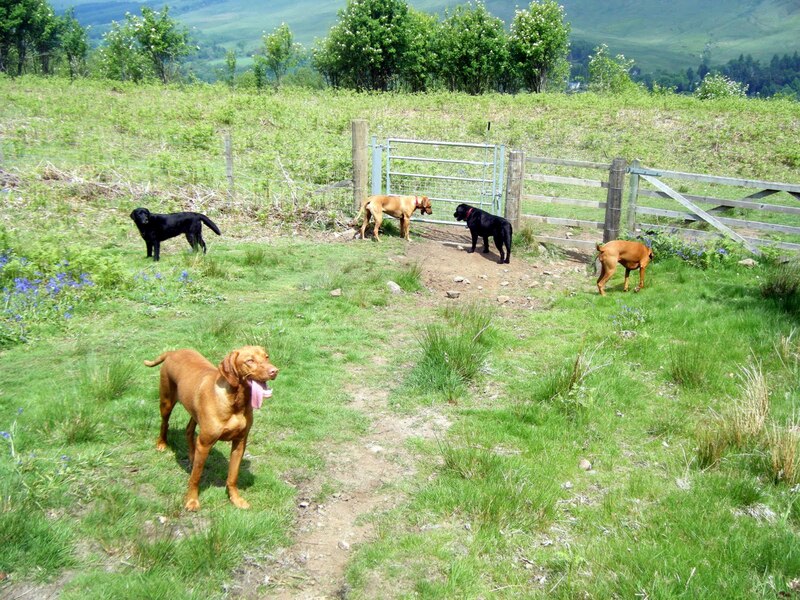 This picture shows Meg & Laddie (black labs) Holly & Ivy (Vizslak) and Zola (the Ridgeback). Just out of the picture are Boris (Vizsla) and Murphy (an all black cocker Spaniel).